This is the first time I’ve tried a sleeping mask. They were available in the East Asian market for ages and now it’s slowly moving to the west. Just like how BB creams were. At $4.00, I thought why not pick this up and give it a shot. What have I got to lose? The pod is smaller than the palm of my hands but surprisingly, I could get about 4-5 uses out of it as you only need to apply a thin layer every time. I ended up scooping the rest of the product into a small travel sized cosmetic tub. I have read online where others had put the pod into a ziplock bag or paper clipped the lid so it wouldn’t dry out. The non sticky, gel texture was cooling and easy to spread on my face. Each time I’ve used this, the gel doesn’t get fully absorbed into the skin which is normal according to the packet. Skin was soft after washing it off. It did help calm some red blemishes down but I haven’t seen a noticeable change in reducing imperfections and it didn’t break me out. It has helped control the oil production but this was noticeable after using it for a week. There’s not much green tea scent in this as some green tea smells can be strong. The packaging is cute but it’s definitely not practical. Great for travelling though. I don’t regret purchasing it but I certainly wasn’t wowed. At $4.00, it’s worth a try! They have other formulas available to suit your skin needs. Have you tried a sleeping mask before? Not heard of this, but , like you say, for the price worth a try. I really love masks, this one sounds really nice. I haven't tried any of these masks but they sound good. 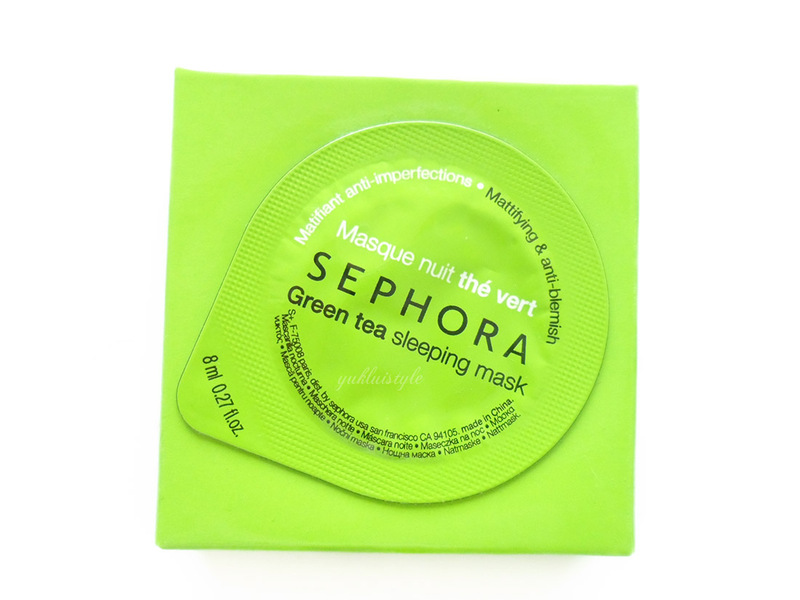 Sleep masks are completely new to me so I will definitely be giving this a try when I am next at Sephora! i love green tea masks!! they some how works best on my skin, thanks for the review and tips about storing the excess! Thanks for this. Been searching for review of this product. I love green tea masks. 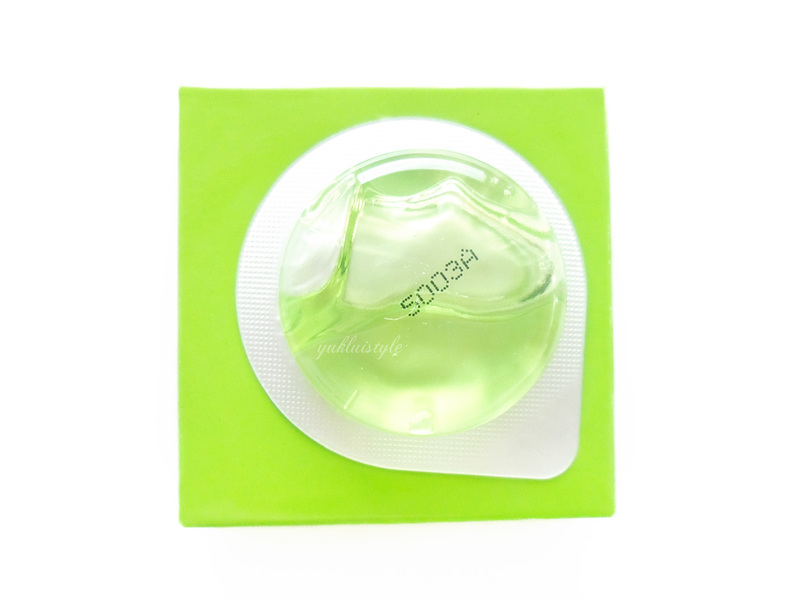 Recently I have used the face shop green tea mask. It does have quite a lot in it and as you said, can be saved to use for another time. Although the packaging is not very practical. i bough three of these and had try the rose ones…its hydrating but not so much of a change on my skin really..i prefer my laneige water sleeping mask more..
Haven't heard about this and I haven't tried using a mask. Looks like a good one to try though. haven't tried any sephora house brand before. i love the sleeping mask by laneige. you should go try it out if you can. many ladies swear by it. That's fantastic for the price, I really want to give this a go! This is so cheap, I'd love to try it out. I've only ever used one face mask before and it was great. i have this also, but in different version. rose mask sephora. this a great product! I'll give anything a go, that has green tea in it! I'll go search for these soon. other day when i was roaming on Sephora i was tempted to grab one of these but didn't pick any at the end! surely gonna pickup next time. Sephora has just arrived in India and is doing wonders… I such will look forward to trying this product.